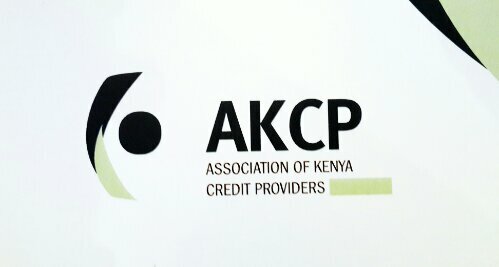 On the 24th of September, The Association of Kenya Credit Providers (AKCP) was launched with much pomp and glamour at The Hilton (Nairobi, Kenya). This is an association that handles matters related to its title is comprised of Micro-Finance Institutions, Banks and other financial utilities that lend funds. Key guests in attendance were The Governor of Central Bank, Prof. Njuguna Ndung’u, The Director of Financial Sector Deepening Trust, David Ferrand, The CEO of Kenya Bankers Association, Habil Olaka, Chief of Party USAID – FIRM, Mark Rostal, and CEO of Association of Microfinance Institutions – Benjamin Nkungi, amongst many other senior managers within the finance sector. The event was a launch of AKCP as well as creating awareness/positivity of Credit Information Sharing (CIS) amongst financial institutions. CIS plays an important role in stimulating economic development, rewarding positive borrower behaviour, and reducing loan delinquencies by more efficiently allocating capital. It permits lenders to better evaluate risk and, as a result, can lower the cost of credit for borrowers. This happens to be an electronic (and working towards a real time) system for information sharing. In Kenya, CIS has over the last few years gained recognition as a critical component of the financial infrastructure for the attainment of a more efficient and robust credit environment. Credit Information Sharing Initiative (KCISI) was set up as collaboration between the Central Bank of Kenya (CBK) and Kenya Bankers Association (KBA) to oversee the implementation of CIS between commercial banks. KCISI has for the last three years championed the establishment of a credit reporting mechanism in Kenya’s banking sector (which involved negative only sharing in 2010 and begun positive as well as full file sharing in 2012). There are now two licensed bureaus that facilitate the information sharing, namely Transunion CRB (formerly CRBAfrica) and Metropol CRB. They are licensed and regulated by the Central Bank of Kenya. CIS is also expanding to non-bank sectors. Since credit information sharing was introduced officially in July 2010, the focus has been non-performing loans. This has given the impression that the only role of credit reference bureaus is to blacklist defaulting consumers. A lot of things are now changing in order to make it work better for you. Credit information sharing is a mechanism that allows lenders to share information on their consumers through licensed credit reference bureaus in order to improve the way lending decisions are made. In order for the mechanism to work as exported, all credit providers and credit reference bureaus have agreed to follow best practices. • To make it easier for you to get credit using your “track record” rather than physical security such as land, vehicles, shares, household items and others. • To lower interest rates as you can use your “track record” to negotiate favourable credit terms. • To help maintain good repayment behaviour and good borrowing practices. More details about the Law relating to this mechanism, can be found within the Banking Act (section 31) as well as the Credit Reference Bureau Regulations 2012. The formation of AKCP as well as implementation of full file CIS will yield several benefits to the consumer, lowering interest rates and eliminating serial defaulters within the credit sector. The planned implementation of a real time system shows ways through which technology and information sharing can easen the stress found within the credit sector, at the consumer and institutional levels.